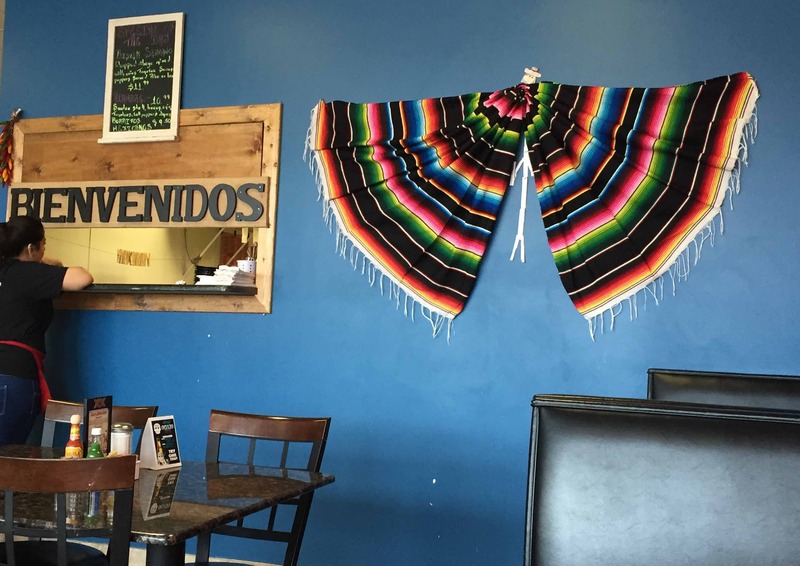 Colorfully painted walls will add plenty of charm to your dining experience. 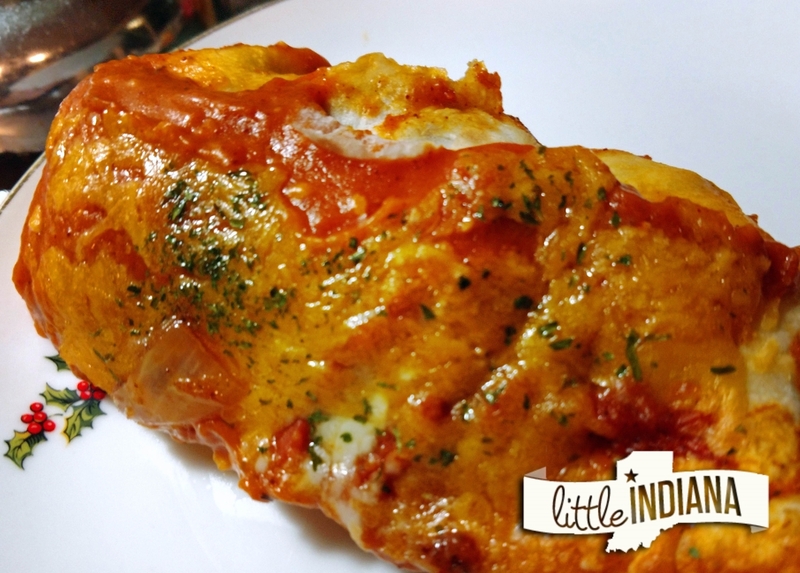 Serranos Mexican Grill is one of Valparaiso, Indiana‘s newest places to snag delicious Mexican food. Having only opened in September of 2014, it makes sense that I had never eaten at this great little place on Calumet Avenue. However, I was recently in the mood for Mexican food and decided to spend my lunch hour trying something new. Let me tell you, if the lunch I received at Serranos is any indication of things to come, this place will quickly turn into a local favorite. 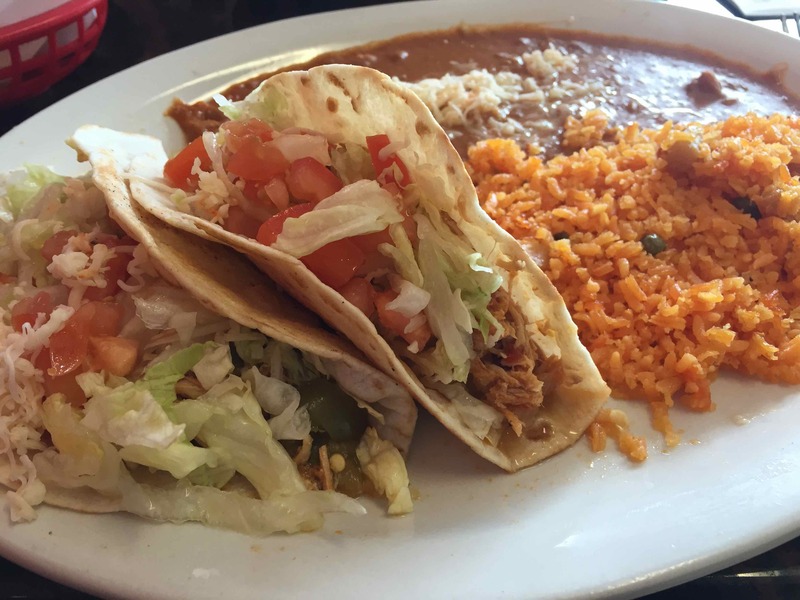 The chicken tacos at Serranos in Valparaiso, Indiana were filling and flavorful. Serranos Mexican Grill can be found in between a few other stores, all located in a pretty inconspicuous strip mall. Do yourself a favor and don’t pass this place by! Once you get inside, you’ll be wowed by the restaurant’s colorful walls, bright decorations and most importantly, the friendly service that you’ll receive. My co-worker and I entered and were immediately seated just beneath a cute bucketful of flowers and an eye-catching wall mural. We were given both lunch and regular menus, each offering tons of great options that made deciding on one specific dish extremely difficult. Needless to say, I’ll be back to try all the others that I didn’t have a chance to order this time. A basket of chips and two cups of salsa quickly arrived which, in my opinion, was the perfect way to start off the meal. 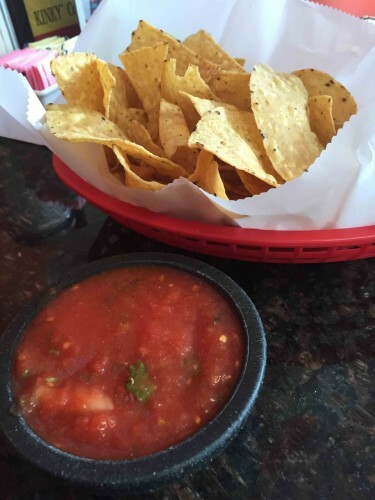 Chips and salsa, the perfect way to start off a meal at Chips & Salsa at Serranos in Valparaiso Indiana. I finally settled on the chicken tacos, filled with lettuce, cheese, tomatoes and shredded chicken. The shredded chicken was delicious and with two sizable tacos, the portions were plenty. My meal was also served with Mexican rice and refried beans, both extremely flavorful and filling. My co-worker ordered the steak burrito lunch, a fantastic-looking burrito (the steak can be substituted for chicken or pork) that came topped with cheese and salsa. Like mine, it came with Mexican rice and refried beans. But as an added bonus, a guacamole salad was also included. Even though we both ordered from the lunch menu, I made sure to check out the dinner menu as well. I can’t wait to return for more of Serranos’ delicious-sounding entrees, including the carne con chile and the pollo al Serrano. To be honest though, I’m most excited to go back for dessert, which includes one of my longtime favorites, tres leches cake! There’s also something called a cheesecake burrito, and while I didn’t inquire exactly what this dish is, I can’t wait to find out. Follow along the Serranos Mexican Grill Facebook Page or at their website, linked below. Don’t just live in the city – explore it! THIS is Big City, Little Indiana. 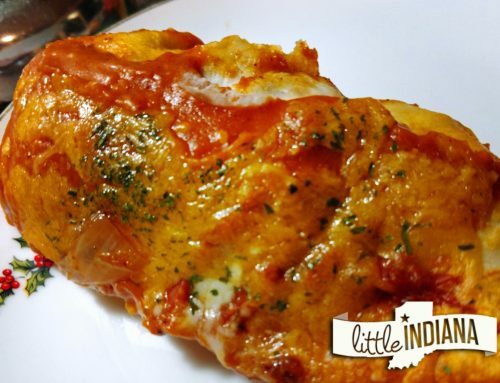 Just don’t forget to tell ‘em little Indiana sent you!